Pinterest is the hottest social networking photo sharing site to get quality people traffic from and improve your search engine rankings with too. I've been using Pinterest since about day 1 now. I have some fairly big accounts that are member/owner of some very big boards. I am member (pinner) to over 400 massive Pinterest community boards. Collectively, the boards together have about 80 million users (pinners) in all the boards when added up together. I will pin your website or link to these boards which will last forever and send you guaranteed Pinterest visitors for life. 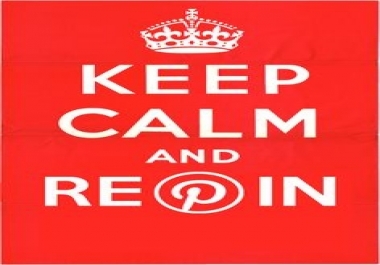 I will pin your site, link, video, whatever to 10 big Pinterest community boards. 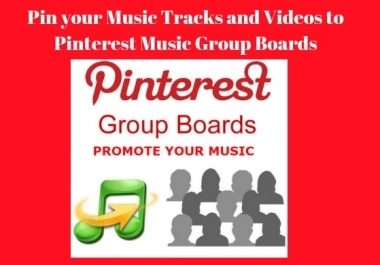 You pins will go on to get repinned and send you lots of traffic and for a long time. 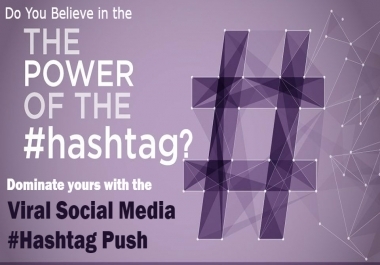 Some pins can go viral on these boards simply because of the amount of users that they have. Some of the boards have many many thousands of users. Some of the boards have 500K+ users. Collectively it's around 80,000,000 users. Note: We are members of many different types of boards in cooking, fashion, health, beauty, nature, travel, animals, humor, random niche and more. - We will always pin to the most related boards to your niche at first. - After we will pin to the general boards and then all the rest. - Full work report of all pins after the work is complete. What's Required to Pin?Your URL that you want to pin, website product/video or something. How Many URL's Can I Pin?No real restriction. We can pin the different pages/products etc from your site. How Long Until Complete?A couple days but give me a few days at least. Up to 7 days or more for bigger plans. What is Not Allowed?Nothing illegal/offensive not safe-for-work. Any more Questions? Drop me a message.